Tri-State Business Systems is the leading solution provider of barcode and labeling systems. TSBS offers a wide variety of barcode printers, software, data collection equipment and labeling supplies. TSBS hardware and software engineers will design and implement your RFID and Wireless system with custom programming,site surveys, training, and project coordination. TSBS supply coordinators ensure the success of your label & ribbon application. 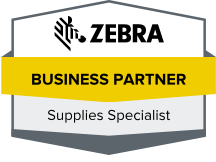 TSBS has formed an alliance with Zebra Technologies, to provide industry leading products, service and support worldwide. TSBS supplies many of the fortune 1000 and 500 manufactures today. Customer satisfaction it’s the Tri State Way.